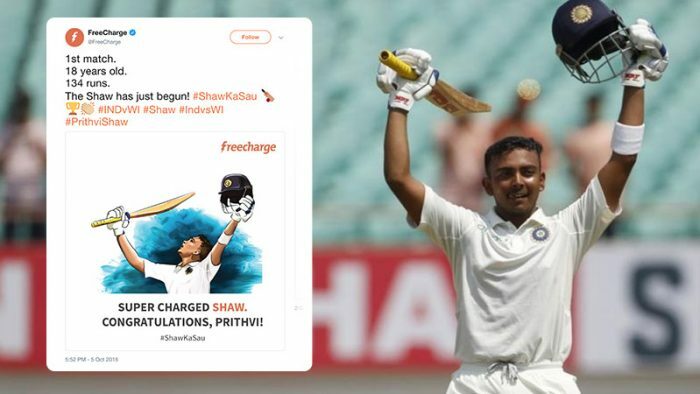 When Prithvi Shaw hit a century in his debut Test match against the West Indies last week, I anticipated many brands to latch on to the lad’s achievement to try and score brownie points on social media by being clever and creative in their appreciation. 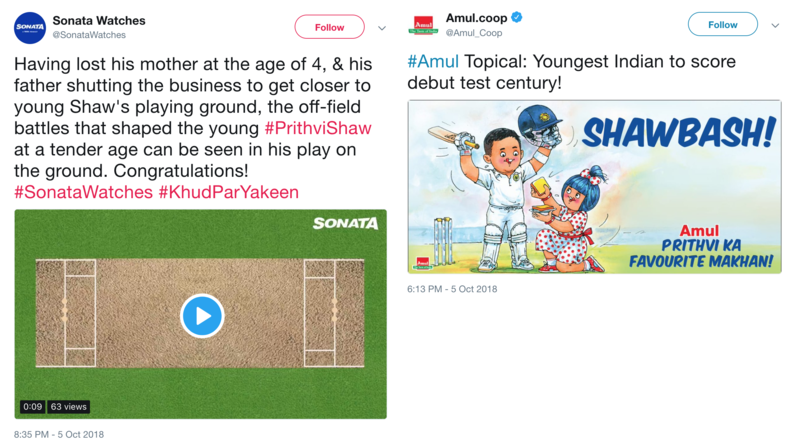 This is a standard operating procedure for ‘content’ on social media, something that Amul has been doing for decades, using print and billboards. 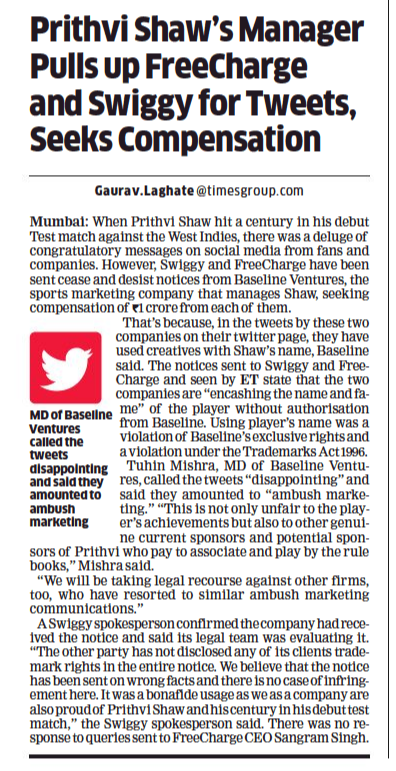 What I did not anticipate is Baseline Ventures, the sports marketing company that manages Prithvi, seeking compensation of Rs.1 crore from just 2 of those brands that celebrated the achievement! 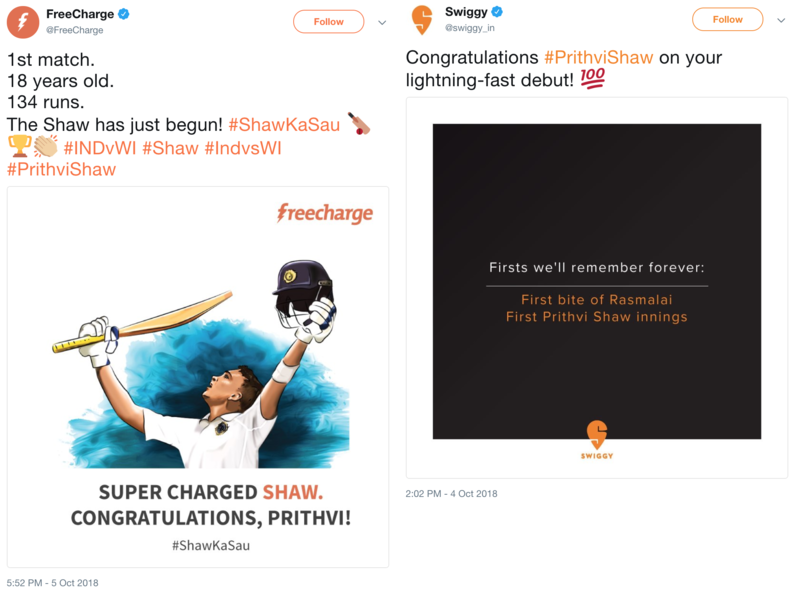 Baseline’s MD is quoted as saying that Freecharge and Swiggy, “used creatives with Shaw’s name” and that they “will be taking legal recourse against other firms, too, who have resorted to similar ambush marketing communications”. It’s interesting they isolated Swiggy and Freecharge (2 well-funded, well-backed start-ups, if I may add) alone for the first round. Here are some other brands celebrating Prithvi’s success. This content tactic of celebrating Indians with a worthy achievement is not new at all. 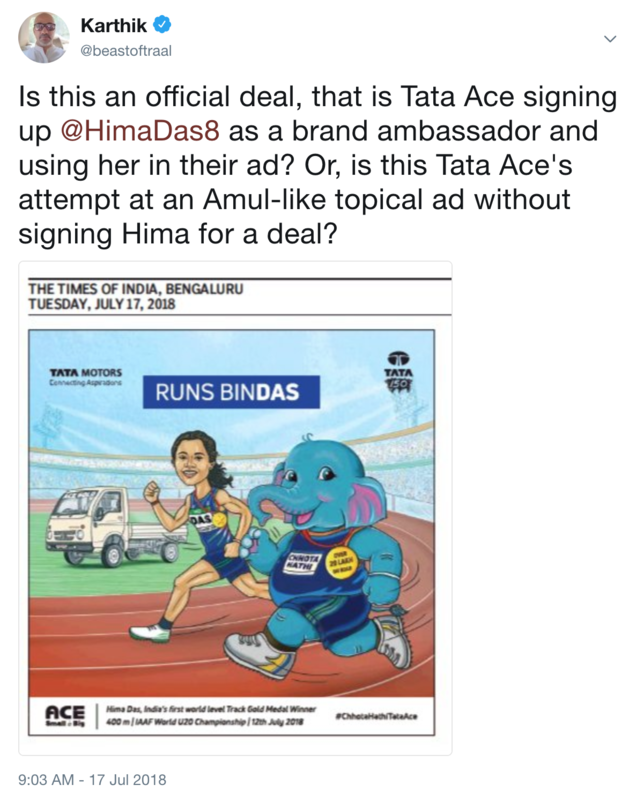 See a more recent example, featuring Hima Das, in print, by Tata Ace. 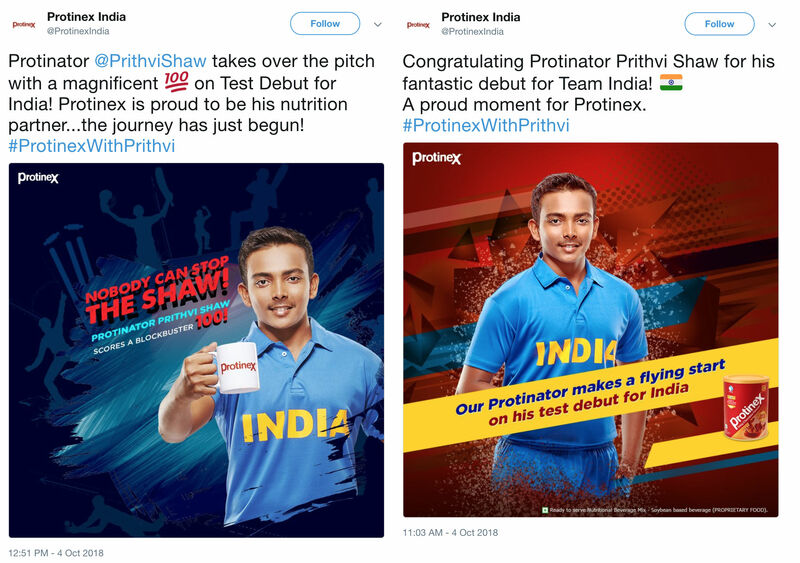 You can argue the many brands celebrating Prithvi in many ways – Western Railways is a Government Enterprise, Tata Trusts is a charitable organisation of Tata Group founders, Amul and Durex do not mention Prithvi’s name fully… and so on. But the larger point is that using famous people (or, recently/first-time famous people) in quick social media content is not new at all. This is possibly the first time when the celebrity in question was quick enough to get a marketing company to act on a cease-and-desist notice so fast. On the other hand, here’s a brand that has officially signed Prithvi as a brand ambassador and going to town about his achievement. The difference, however, is the need to sign the celebrity as a brand ambassador, to merely congratulate him on a tweet. That may not be the case, and I’m sure Baseline would have a rate card detailing the many ways to use Prithvi’s name in different shapes, sizes and context, and the corresponding cost. The question is, will the digital marketing industry take note of this effort by Baseline and restrict this very common content tactic whenever a new celebrity arrives in the scene?